Nothing beats having a 'home away from home', when visiting a different city. 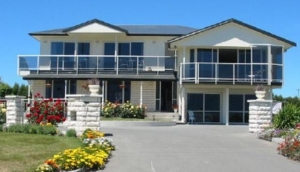 Staying in Apartments & Villas in Christchurch, is also the best way of feeling like a local. Stay in a CBD apartment, or grab a pied a terre out in the suburbs. Christchurch Apartments & Villas are a very popular accommodation option when visiting this garden city. Rents can vary wildly, with everything depending on location. If you like city chic, you'll want to head to Park Terrace and the west end of Cashel Street. Here, you'll find a selection of modern, serviced apartments. Bealey Avenue has some affordable apartments, more motel-style, but just as comfortable and convenient. Hagley Park is a very desirable area, and you can get some great apartments with fabulous park views on one side, and the CBD on the other. Try Papanui Road in the north, and Riccarton Road in the west, for apartments that have good bus connections and shops nearby. Alternatively, get out of the city and set yourself in a beach apartment in Lyttleton or Akaroa. Or try a forest lodge in Arthur's Pass or Hanmer Springs, for true seclusion.